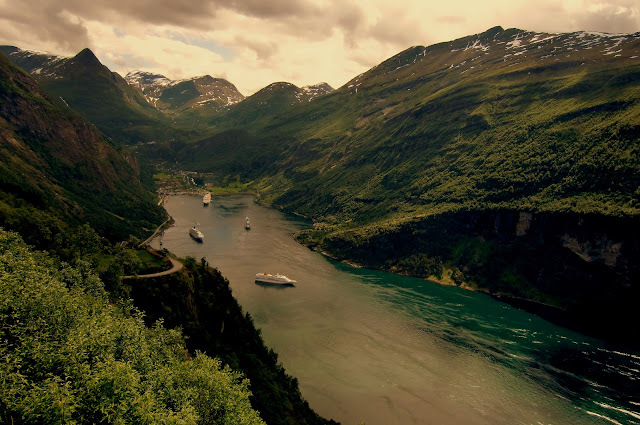 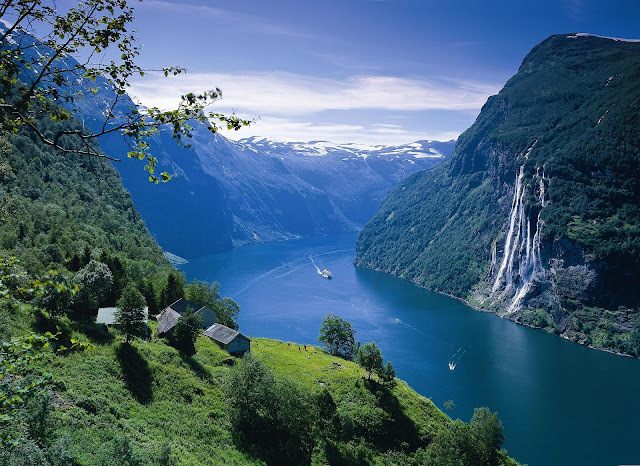 The Geirangerfjord (in Norwegian: Geirangerfjorden) is one of Norway's most popular sights. 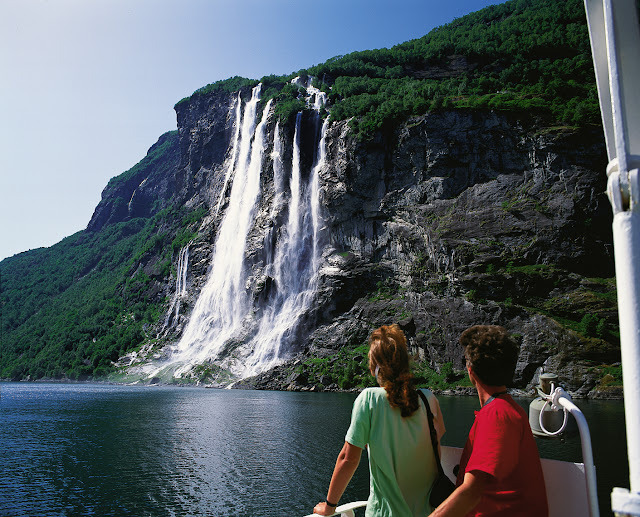 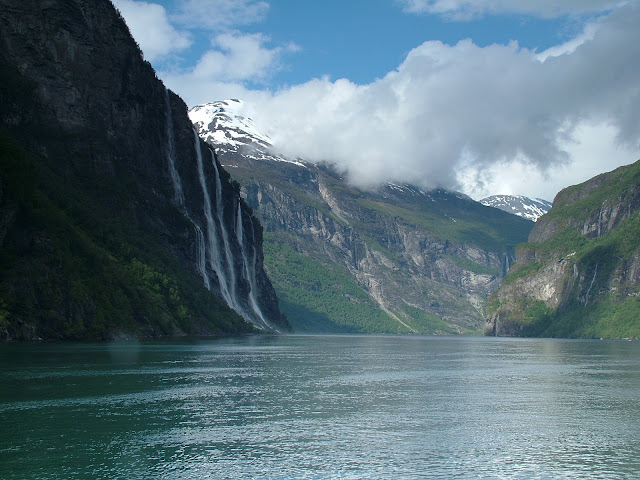 The Geirangerfjord offers visitors three breathtaking waterfalls hitting the fjord on both sides of the waterway: The Seven Sisters (with seven falls), the Bridal Veil, and the Suitor. Located in western Norway near the coastline, Geirangerfjord is almost exactly halfway between Trondheim and Bergen. 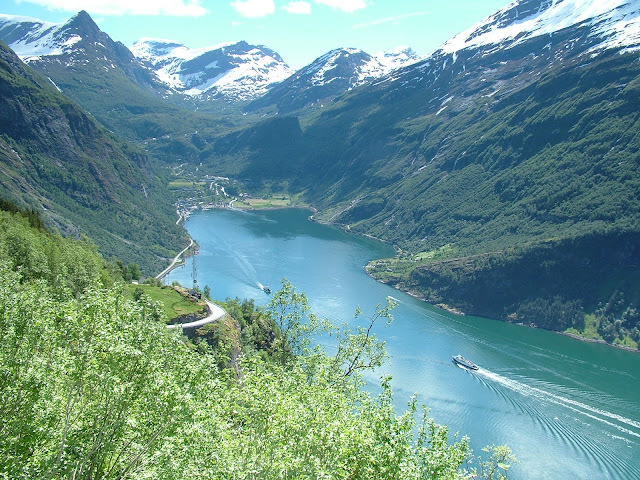 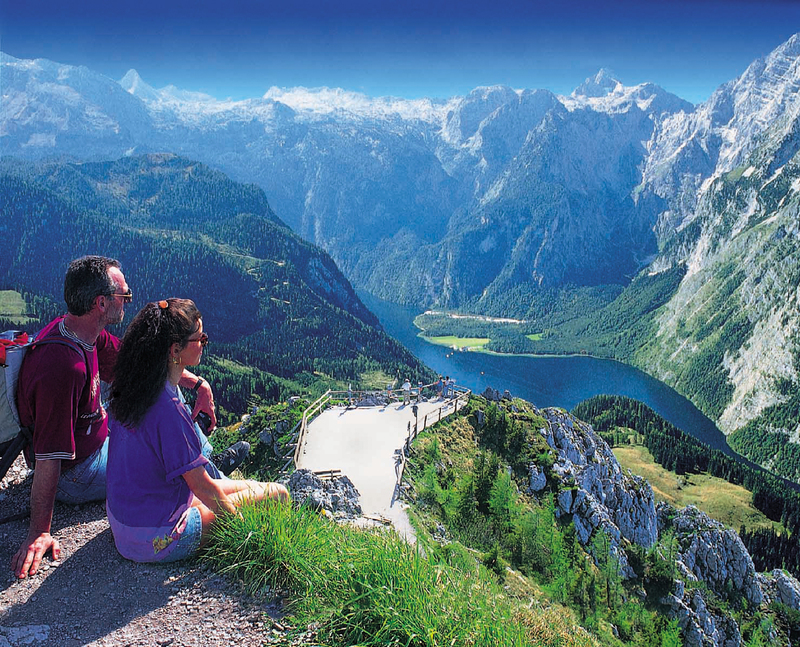 From Bergen you can reach Geirangerfjord by going northeast on road E39 and then road 60. 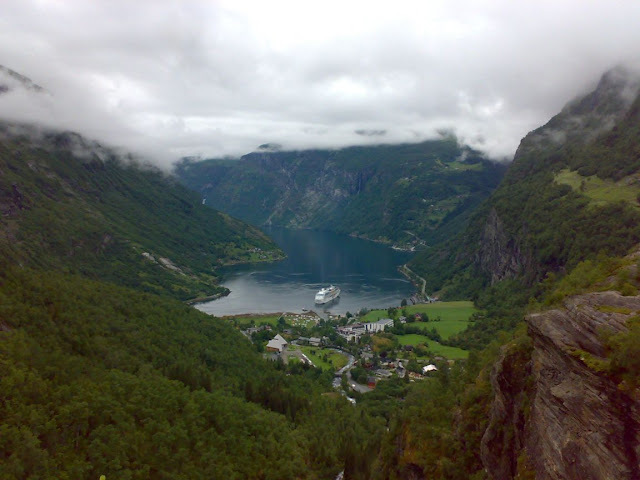 From Trondheim, head southeast by following the E6 and then road 15. 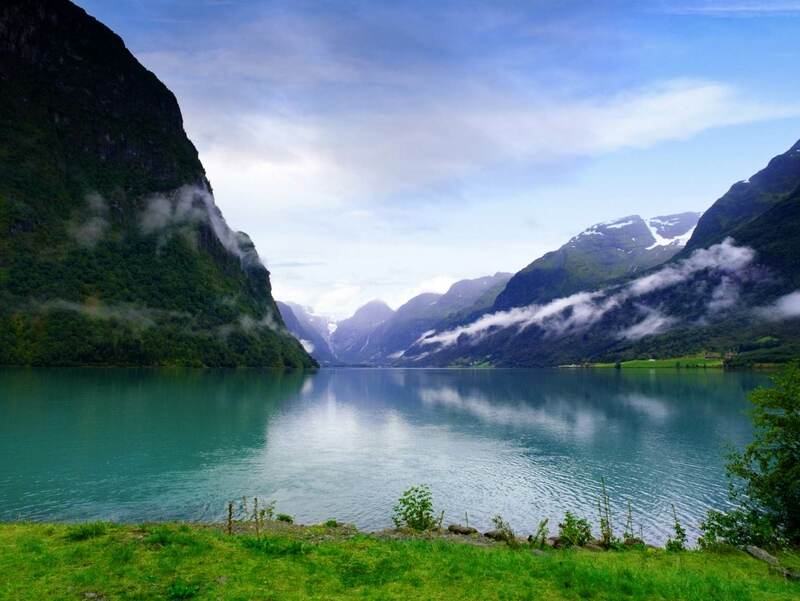 It's about a 5 hour drive from either city, but well worth it. 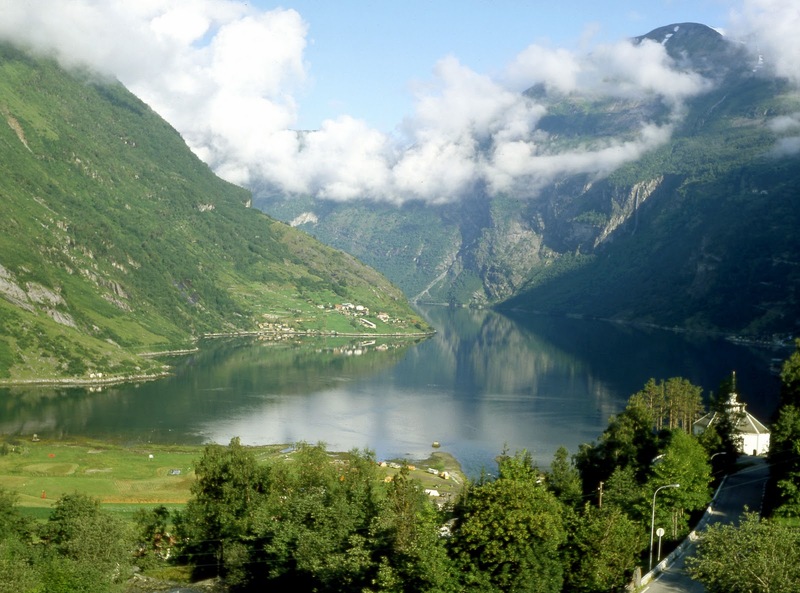 Once you get to the Geirangerfjord, you can stay at one of the hotels in Geiranger. 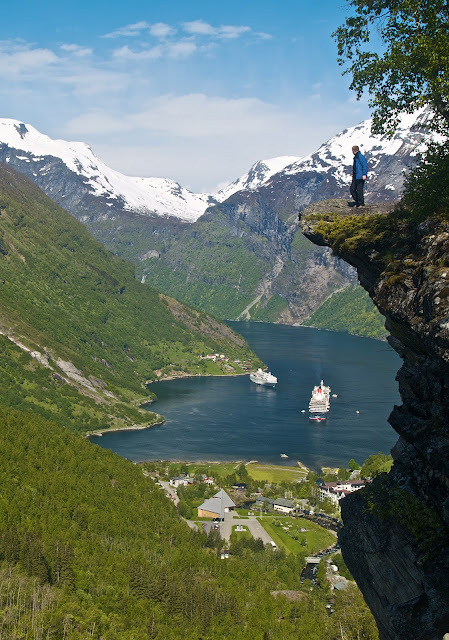 It really depends on the weather in Norway. 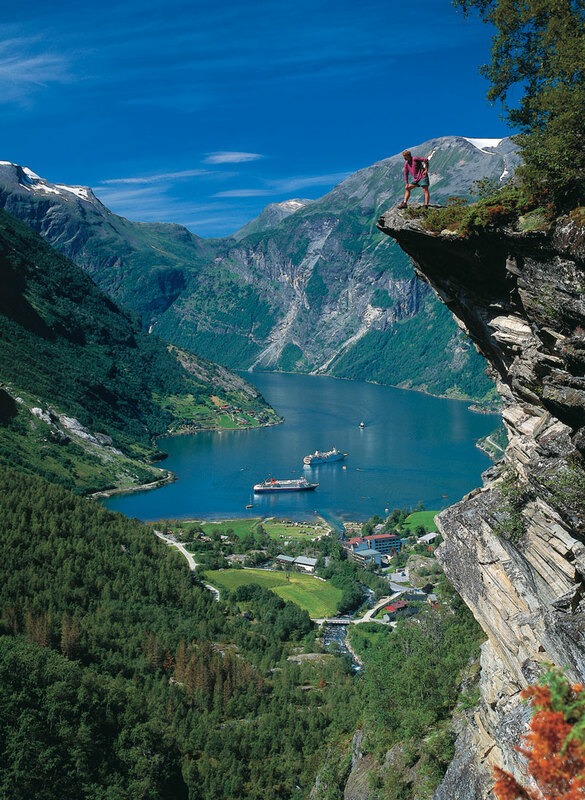 Popular activities at the Geirangerfjord include hiking and fishing and renting boats and kayaks. There are also local companies offering sightseeing tours across the fjord. 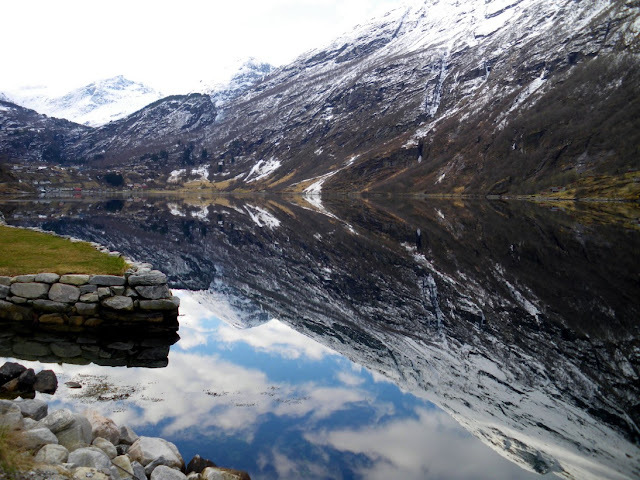 About 100 km (60 mi) north of the Geirangerfjord, there's the Bjorli Ice Lodge, a frosty ice hotel experience which is open January through April. 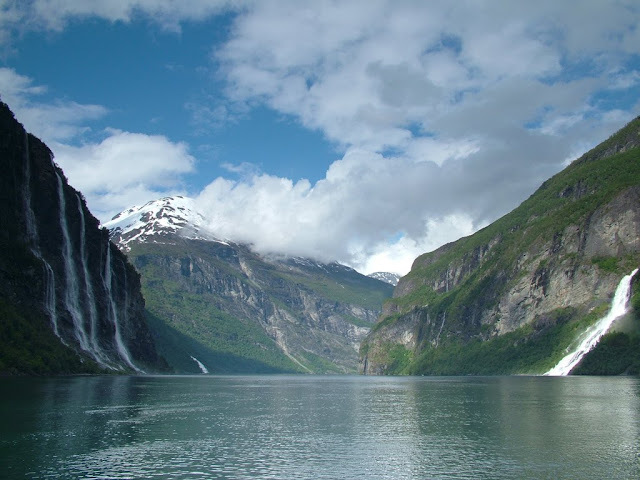 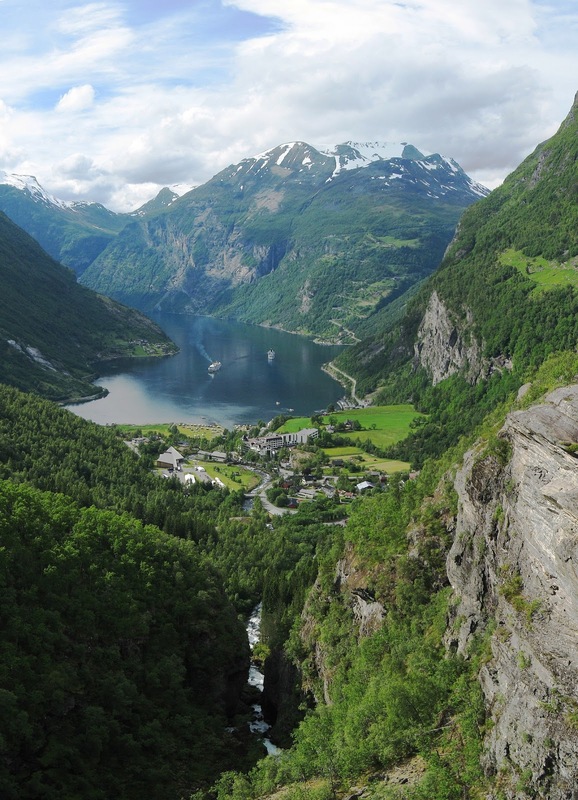 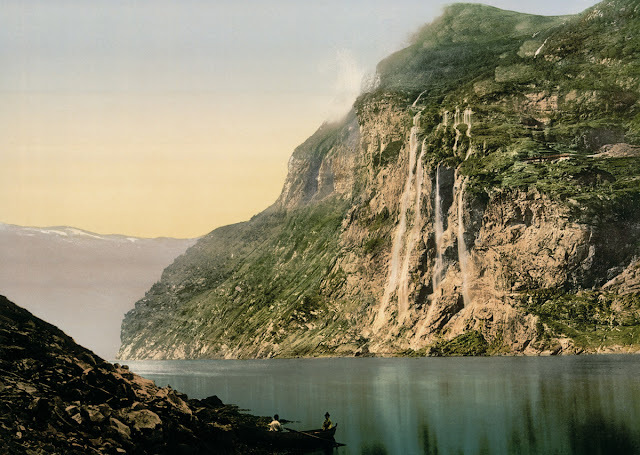 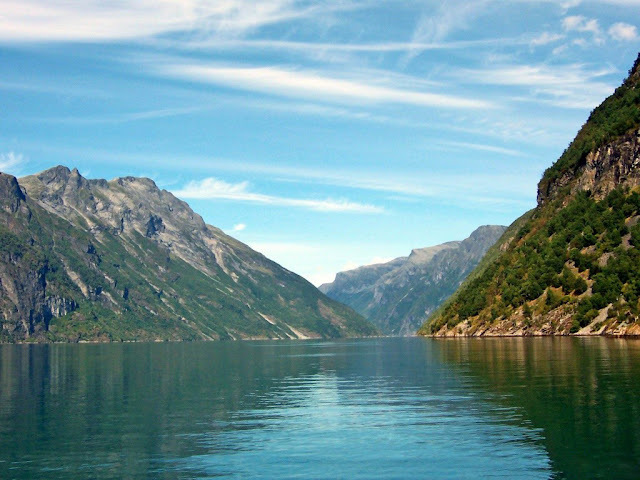 The Geirangerfjord has been declared one of Norway's UNESCO World Heritage Sites. 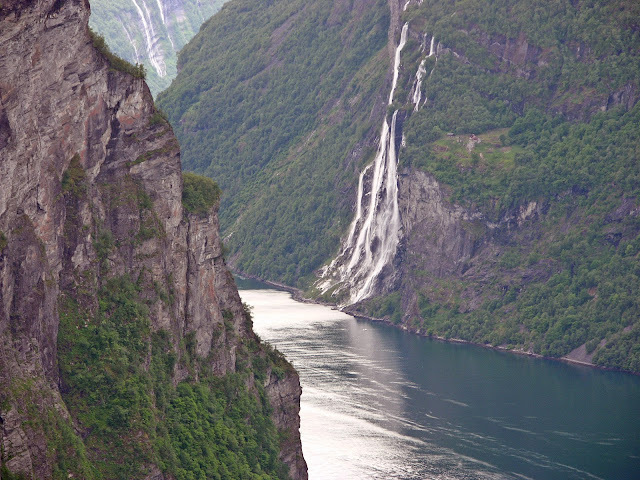 The erosion of Mountain Åkerneset is a danger to the fjord and will at some point likely erase the Geirangerfjord as we know it.